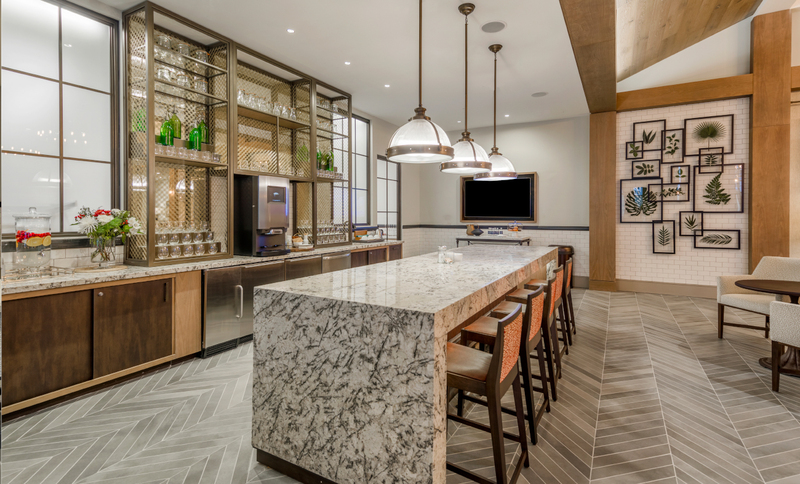 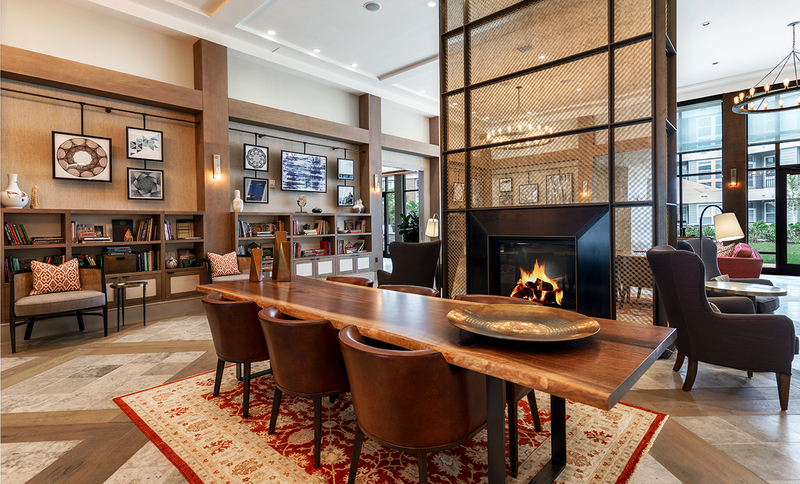 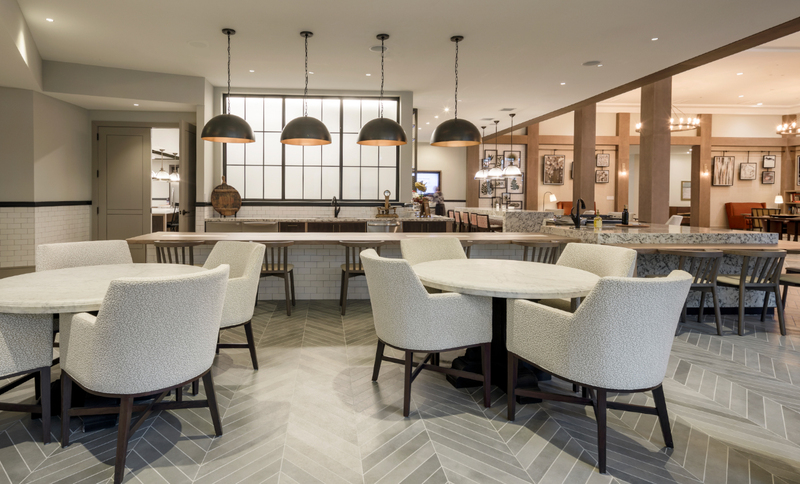 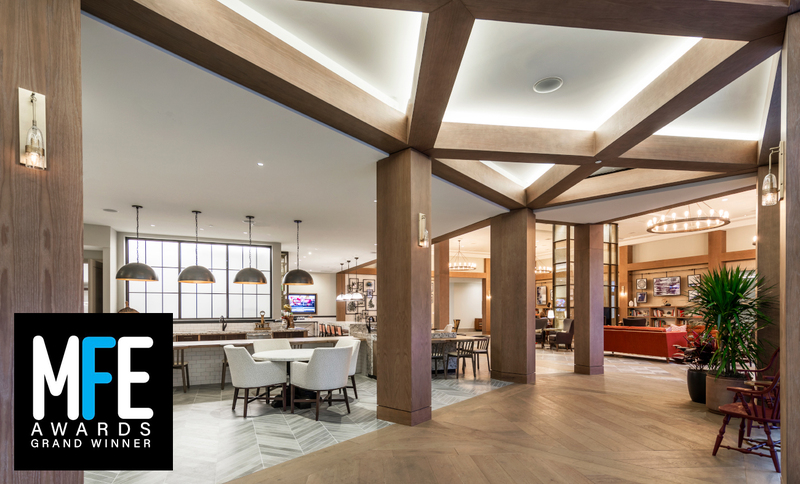 The first age-restricted active adult community for The Bozzuto Group, Canvas’ hospitality environment complements their current and future resident lifestyles. 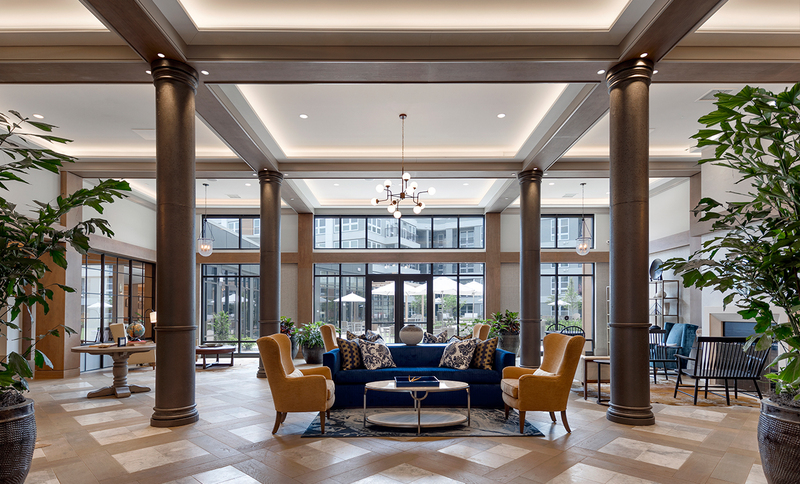 Each area is a play on scale — while the property boasts generous community space with unique personalities, the challenge is to create more intimate and inviting vignettes to serve the needs of many people. 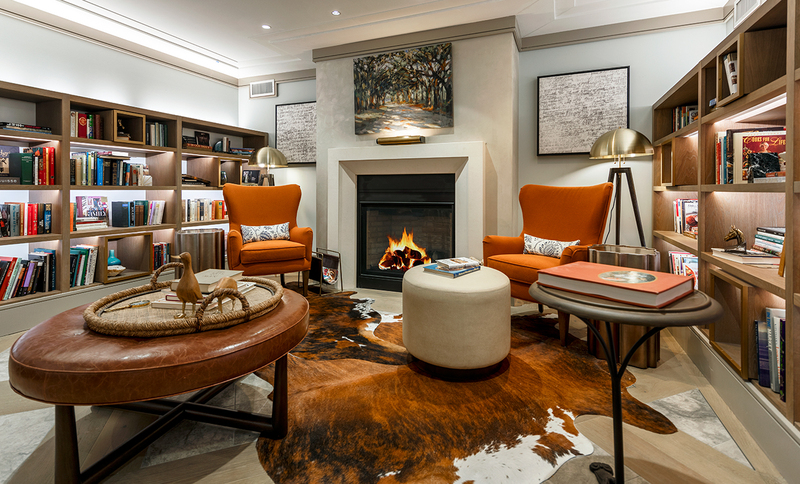 The interior design focused on the reinvention of amenity spaces, apartment finishes, and residential corridors. 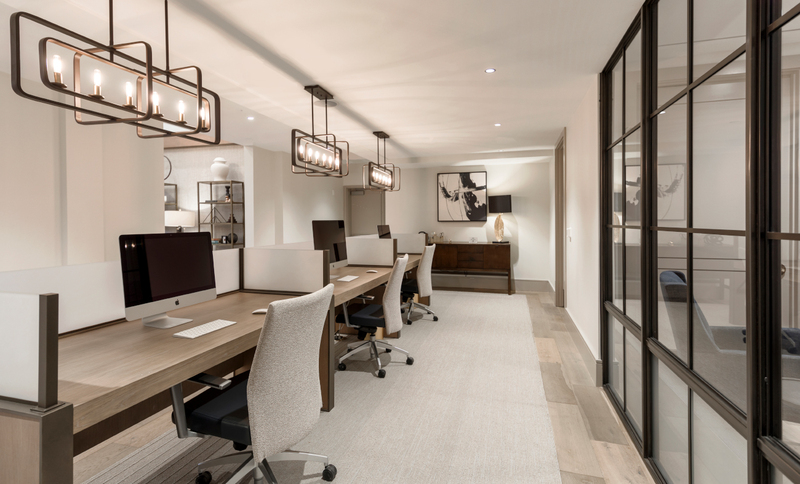 Much like the homes these individuals previously occupied, the design for Canvas reflects a space that appears to have been curated over time. 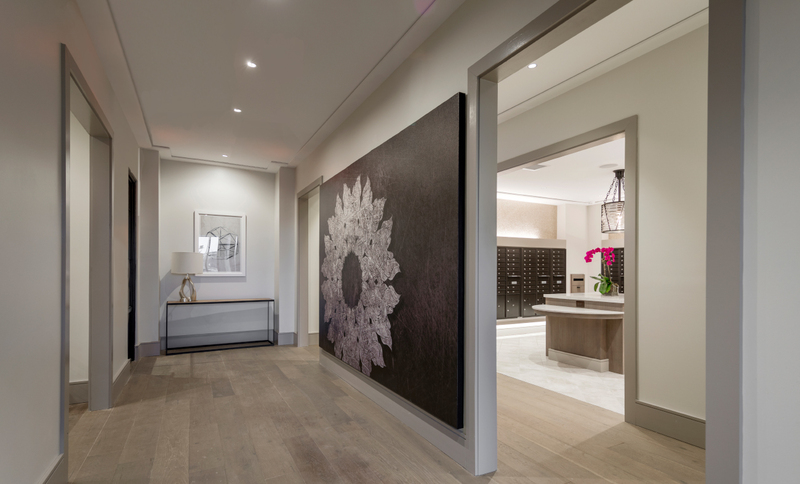 The result instills a sense of discovery and richness of experience for residents. 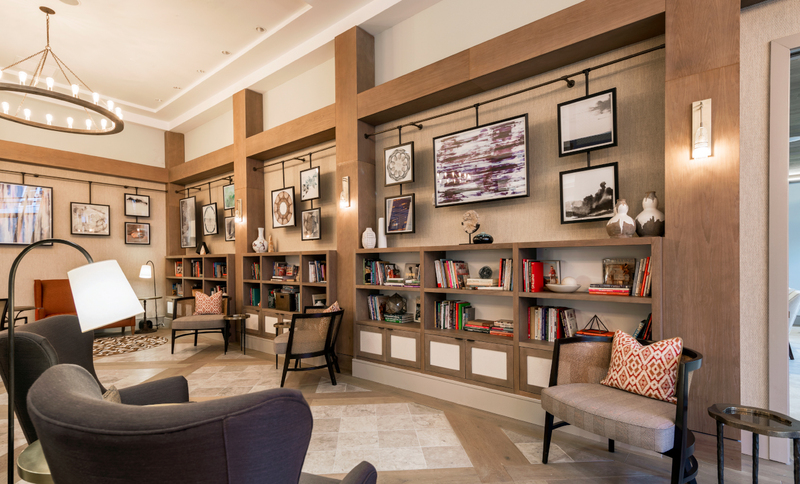 The design encourages personalization of resident amenity space, whether it be through a book share library area or flexible art walls for exhibitions. 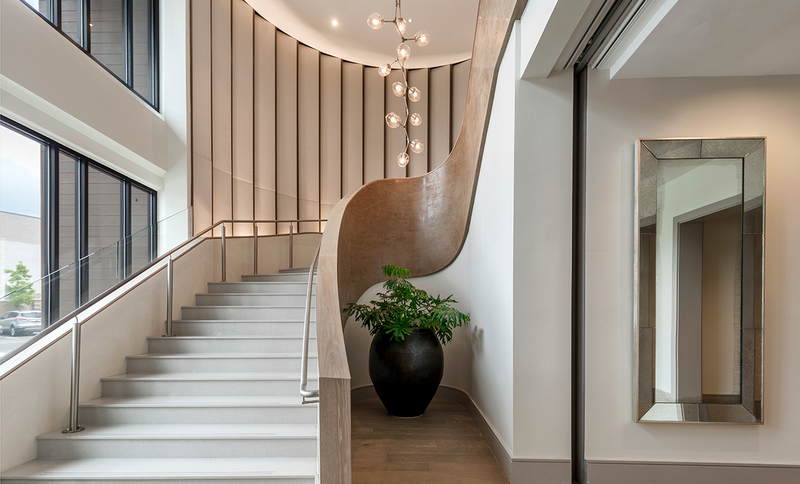 Most importantly, from the point of arrival on this property, residents and visitors are surrounded by subtle and sophisticated detailing and materiality that links it to the area’s rich past and connection to history.